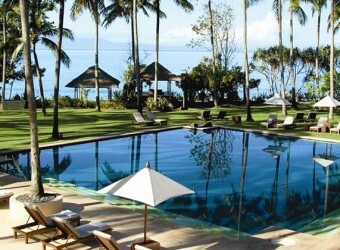 Hotel It is a hideaway hotel in the east Bali, Alila Manggis. All rooms have pool, palm tree and ocean view. The building is artistic mixed style of modern and Bali Hindu, and guests can spend relaxing time in the beautiful nature. They also offer cooking class and spa.